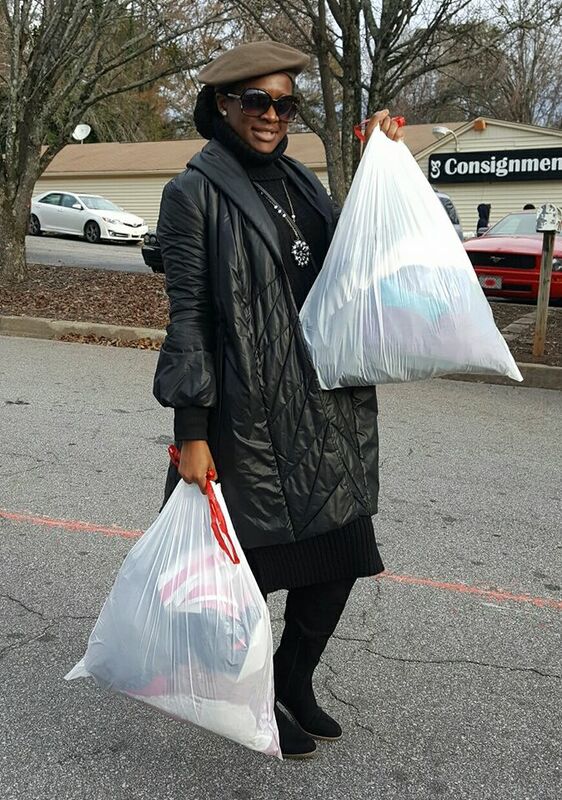 I attended a Dollar Sale hosted by Back By Popular Consignment in Lilburn. 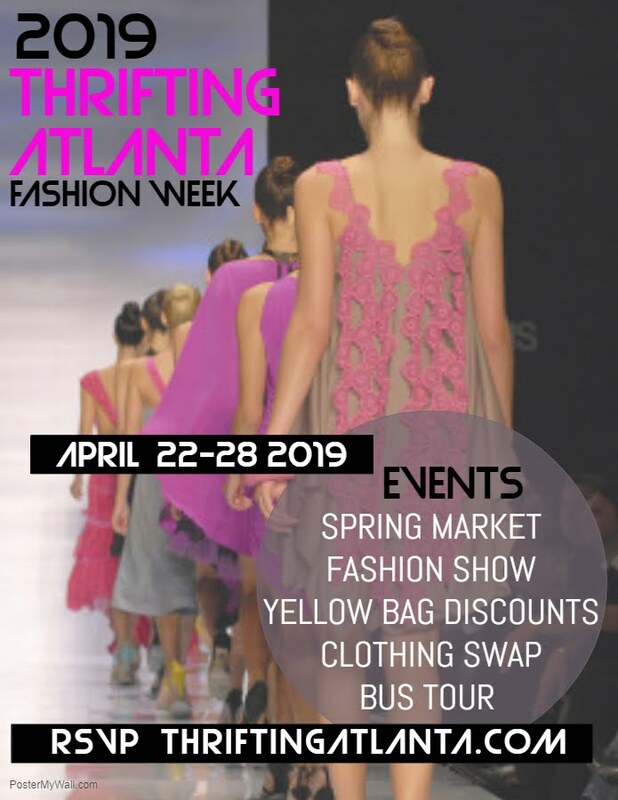 The fashion collection at this consignment is filled to the brim with designer clothing, shoes, accessories and handbags too. The Dollar Sale event happens several times throughout the year. It is sale that is also a fundraiser. So the money generated is donated to support a local charity. That is one of the reasons I enjoy going. 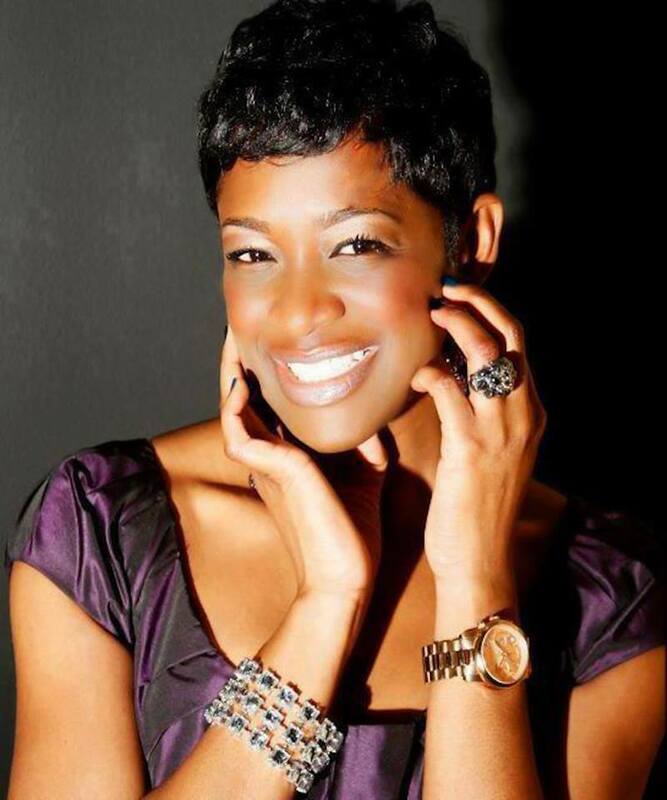 Because I can great designer fashion without breaking the bank and support a good cause. I call that a win win situation. One main difference between this dollar sale, compared to previous dollar sales, is the amount of items available. In the past the sale would boast about 15,000+ pieces (reviewed HERE & HERE). That sale would have hundreds of people in attendance. This one was much smaller with only 2,000 pieces. However, it was just as fun and I did very well. I spent $25! Brands that I scored include Tory Burch, Lilly Pulitzer, Theory, Vince Camuto, Escada and many more. Not all of these pieces are mine. I am sharing with my friends, family and "clients" too. ARRIVE EARLY. Get a sneak peek and set-up of the inventory. That way you can develop your strategy and know which items you will shop first. WEAR THRIFTING UNIFORM. This is an outdoor event, so there are no fitting rooms! BRING FRIENDS. The more the merrier and you can score items for each other. Check video below to see which pieces I am keeping for myself. Which pieces where your favorite? Have you shopped a dollar sale before? What a great find. That is a lot of bang for your buck! I have never heard of this sale I wonder if there is one in my area. What!? Girl you had some amazing finds during your thrift shopping! I love so many of these I am feeling really inspired! Wow, you scored some amazing finds! I wished that we had places like that around where we live. Cannot believe how much great stuff you got for only $25. I wish my local shops hosted something like that! I seriously love consignment shopping, it is such a thrill! I have a store close to me that is my ultimate favorite. That is amazing! I can't believe you got all that for such an amazing price. This is quite the haul! I love going and sifting through things to see what I can find. I need to find one of these sales. That shimmery dress! Oh girl I need one. What an awesome haul! My little town is terrible for good thrift. But I love finding places when I go to the city!! What!?! You scored so many amazing brands at an even more amazing price! This sounds like a blast! Wow, you got some really great finds. I can sometimes score good brands where I live, but it definitely takes some strategy! I love this idea. As other mentioned I never heard of this before and I'm really intrigued. I'll definitely search if there's one happening in my area as well. Looks like you found some really great deals. Im not much for consignment myself though. I bet I could save a bit if I tried it. This is seriously great! So many pieces and such an amazing price! 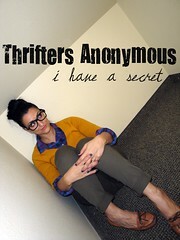 A good 80% of my wardrobe is from thrift and consignment stores- they are the bomb! I love getting compliments on a designer item I paid $5 for. Kudos for the smart shopping post! I have never heard of such a thing but that is fabulous!! I'm not far from Lilburn and I had no idea this was going on. Thanks for the tip! This sounds fun! Thrifting is one of my favorite things to do. There are so many fun treasures there to be found! good for you! i love you blog site. especially the thrift tips! WOW! I have never heard of a dollar sale before. That is awesome. It looks like you got some great designer stuff for a great price. 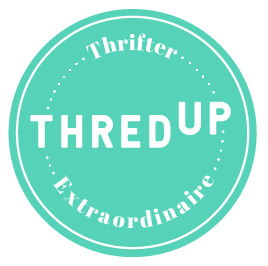 You are so thrifty! I would love a haul like that to brag on. It's a great feeling when you take home all of that stuff! I love shopping consignment and thrift stores. And when things are a dollar, wow even better! That is seriously amazing! 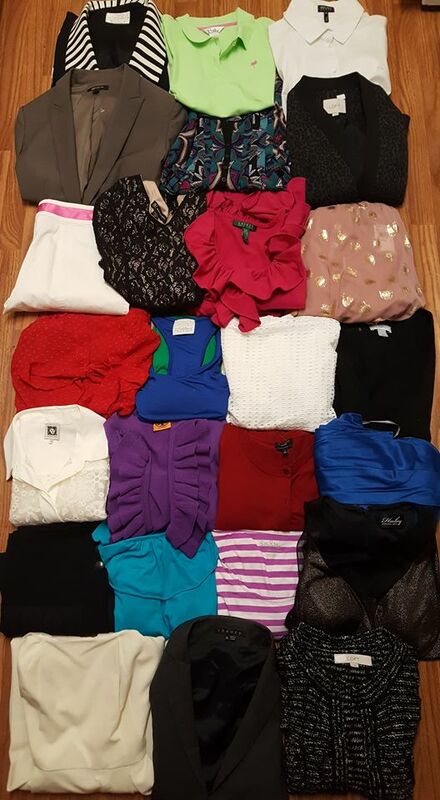 I wish there were shops like that around me - alas the consignment or thrift store options have been well loved before I have a chance to look at them :-) Great haul! Dollar Sale??! Girl I need to know these things! I really need to get on the thrifting bandwagon for real and know when sales like these are happening. You only spent $25 thats nothing for all that stuff you got! I'm so impressed by all your amazing finds but I'm even more impressed because you must live just around the corner from me and you've inspired me to break out of my shell and try shopping at some consignment shops. Awesome finds!